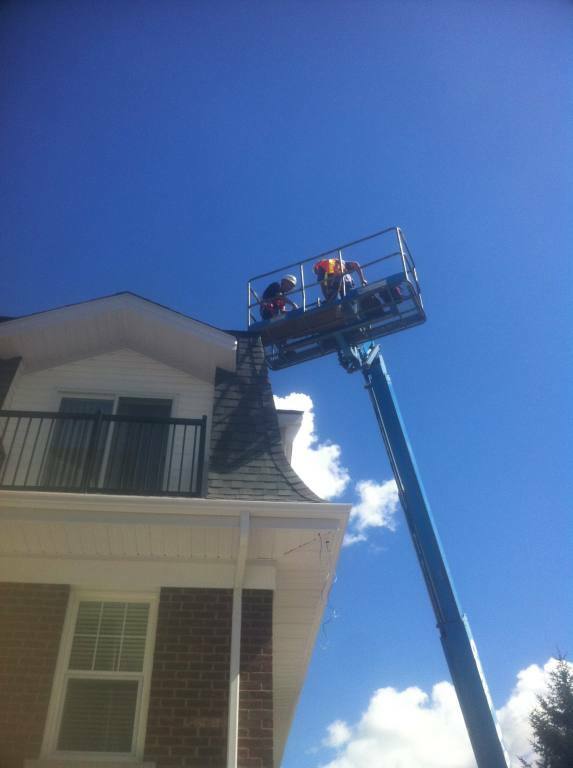 The Antenna Guys can install an HD TV Antenna at your Home, Business, Multi-Dwelling Unit (MDU), Condominium or Apartment Building. Over the past 4 years we have completed several NEW construction builds for Podium Developments in Oshawa - across from UOIT on Simcoe St. N. - 6 HD TV antennas on 6 new student residence buildings. 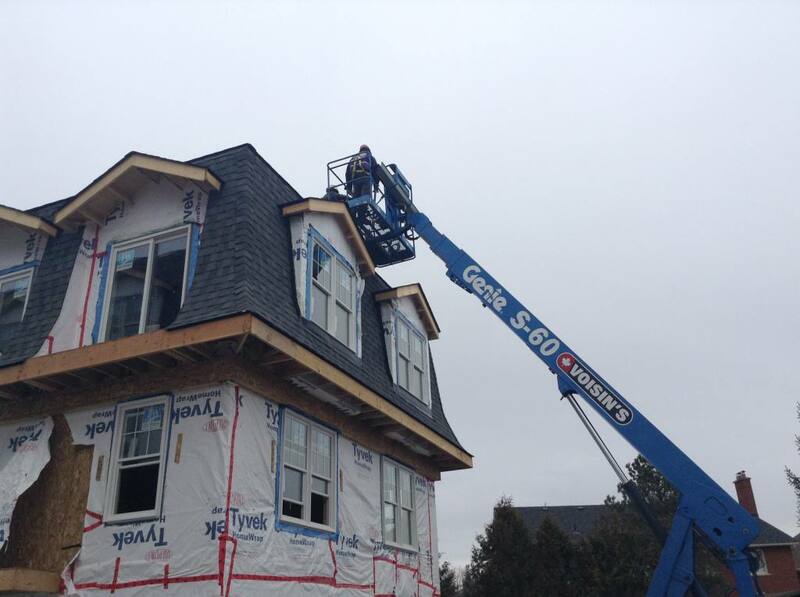 We installed antennas on each of the buildings and ran feeds to 15 apartments in each building. Podium Developments were the first to figure out that providing an HD Antenna feed to tenants is a perfect value-added improvement that will make their property more attractive on the competitive apartment rental market. 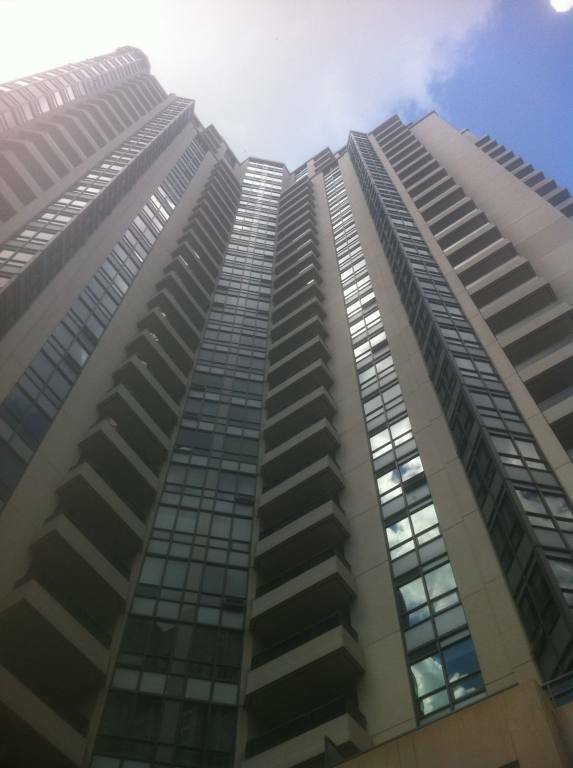 There are easily tens of thousands of Apartment buildings in the GTA that could use an antenna. Do you manage one? Are your Bonuses tied to the building's profitability? 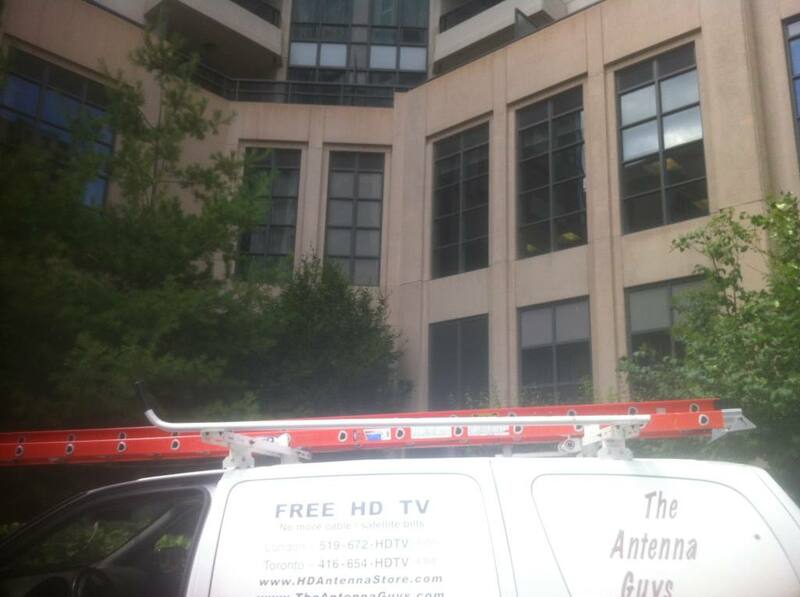 Your Building can easily take advantage of an HD TV Antenna on your building. 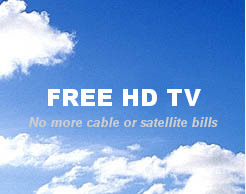 Receive 18 - 30+ channels in full 1080i and 5.1 Surround in the GTA - FREE!! We will install an antenna on your roof and run new antenna feeds to your tenants and / or Amenities Rooms with appropriate amplification. We will also provide seminars for your tenants to teach them how to use their FREE HD TV. If your tenants no longer have a monthly cable bill to pay - doesn't that make rent easier to collect? And if you, as the owner of the building are paying for your tenants TV watching habits - drop the expensive cable or satellite service IMMEDIATELY and start putting some profits back in your pocket - you could easily charge up to $50 per month per tenant for providing FREE HD TV. If you run a small business that has a TV on the wall in your waiting room for customers to watch while they wait - why are you paying for cable or satellite? You can get most of the same channels in Glorious High Definition - FREE!! No you cannot receive CP24 - it is a cable-only channel owned by BellGlobe Media. BUT you can receive CHCH Hamilton - channel 11 - which is set up like CP24 (only better) with Headlines, Weather, Traffic and a Stock Ticker. But CHCH takes it one step further by putting another television program in the centre of the the screen - instead of the 15 minute loop that is endlessly repeated on CP24. Much better - and it's FREE!! Coffee Shops, Auto Repair Shops, Restaraunts, Barbers, Corner Stores - all can use an antenna and eliminate expensive cable bills that return nothing to you. We have also installed for many different Dental Offices - where they have small TVs over every chair to distract patients. They were paying through the nose for cable with all the extra outlets and needed a cumbersome converter box for each TV!! No monthly cost at all once the antenna was installed. 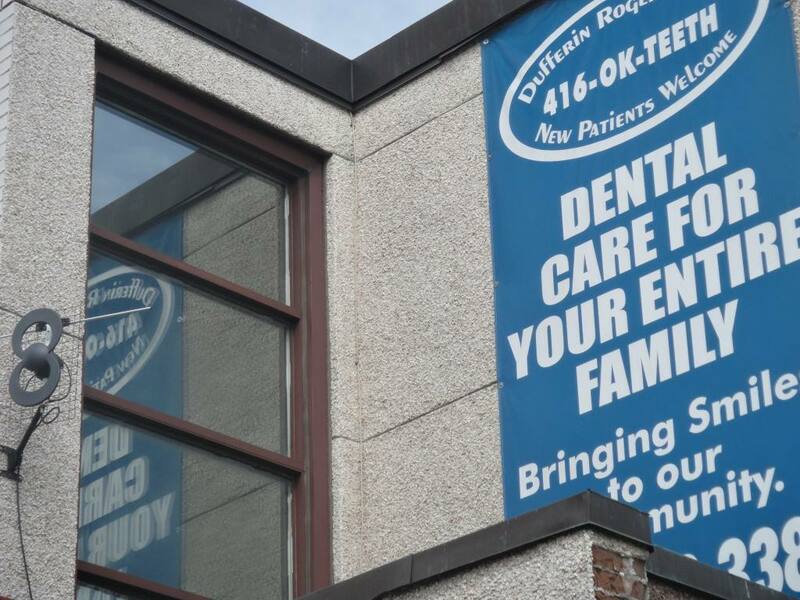 If you run a dental office with many TVs - please call us for references. 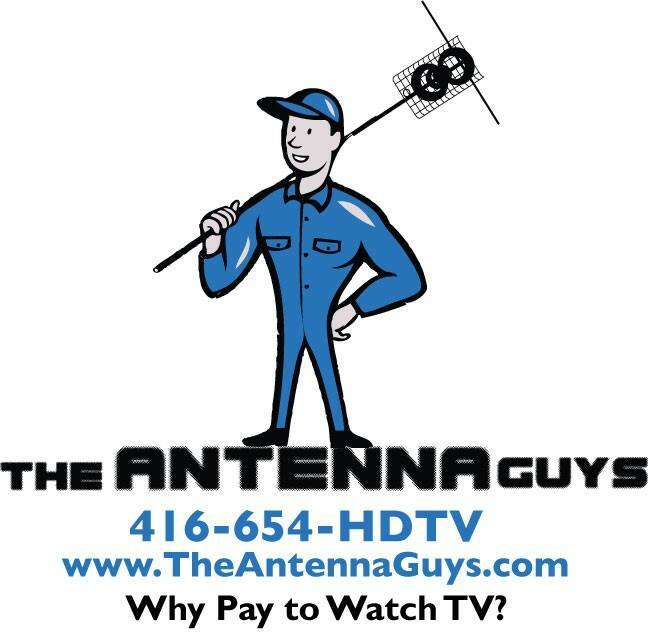 The point is contact us at theantennaguys@gmail.com if you wish to explore the option of providing an HD TV feed to your Commercial Business or Apartment Building / Condominium. Our Rates are $50 per man / hour plus parts.